Bhanu has had a deep passion and connection with sound since attending a one-day sound workshop in 2008. This connection led him to study a Diploma course with the British Academy of Sound Therapists (BAST) in the UK, and qualified in 2011. Already practicing Reiki and Spiritual Healing, his journey with BAST invited him onto the path of self-inquiry, particularly when playing instruments, as each instrument may highlight a resonance, an emotion or resistance within the body, and through working with case study clients, identified a wide variety of relaxation and profound healing experiences within his clients. 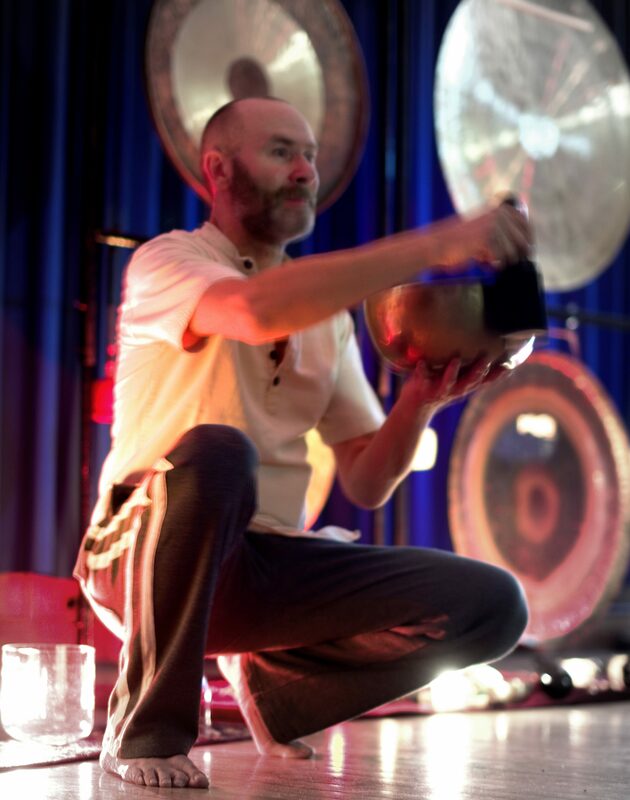 Bhanu went on to study Gong, Drum and Mantra therapy with BAST and travelled to Switzerland and California to study with the Tama Do Academy of sound, colour and movement. This added tuning forks, colour silks, colour essences and Traditional Chinese Medicine (TCM) theory into his therapy practice, along with Qi Gong movements as a personal daily practice. In 2011 Bhanu qualified as an Integral Yoga teacher and now runs yoga classes in the towns of Ellesmere and Whitchurch in Shropshire along with yoga and sound workshops, soundbaths, gongbaths, qi gong, 1-1 therapies and retreats in Shropshire, Dorset and internationally in Greece. Bhanu loves to help others and invites you to join him on his journey as he practices his therapies and spreads the awareness of yoga and sound with others.